First Worship Arts is led by our Worship Pastor, Ken Holland and our Associate Worship Pastor, Andrew Chandler. 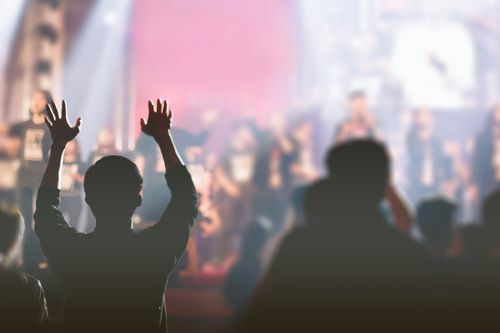 Whether two or three background vocalists or a full choir, we consider everyone a part of a worship leader team. These teams are diverse in function and style, but share a common passion, vision, and purpose. Everyone who considers First Baptist home, is invited to explore the possibility of becoming a part of one of our teams. Whether you sing or play an instrument or are interested in the technical aspects of our ministries (audio, lighting, broadcast, etc. ), you will find a multitude of opportunities to use your gifts for the Lord. Contact us by e-mail or call 843-5472 for additional information about how you can become a part of a worship-leading team. One of the strategies upon which we have built our worship ministries is a commitment to providing choices in style or worship. We offer two different music styles in our Sunday morning services in an effort to communicate with as many as possible. In choosing which service to attend, you will want to know something about the approach of each service. Check out the service style descriptions here. 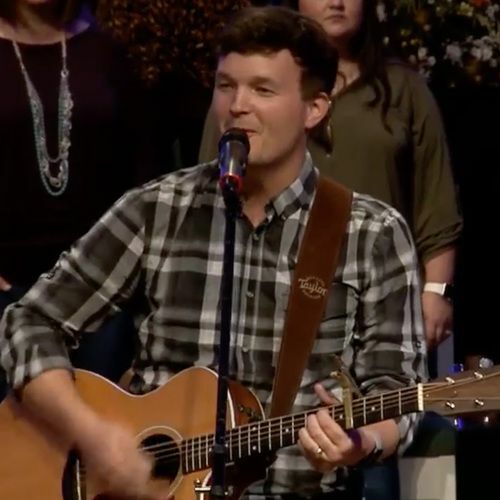 Led by Andrew Chandler, this service is a blended style, characterized by both rich hymns of our heritage and faith, as well as some of the best of modern choruses. We are accompanied by the Celebration Choir and Celebration Orchestra with piano and organ. Rehearsals are on Sunday: 5:00-6:30 for Celebration Choir and 6:30-7:30 for Celebration Orchestra. Led by Ken Holland, this worship experience is led by our Praise Band, Praise Choir, and worship team. Music from Hillsong, Elevation Worship, Passion, Chris Tomlin, and Travis Cottrell, as well as current hits from the world of Contemporary Christian Music. Rehearsals are on Wednesday: 6:00-7:30 for Praise Choir and 7:30-8:30 for Praise Band (audition only). Under the leadership of Andrew Chandler, this worship experience is led by “Real Worship Collective” – students that are pursuing a deeper relationship with the Lord, engaging our student body, and seeking to perfect the gifts that God has given them. This group ranges from 9th – 12th grades and leads our student worship every Wednesday evening with high energy and passion. Directed by Andrew Chandler, our student choir (7th – 12th grades) has exploded in the past two years. The students join our Praise Choir every few weeks onstage to lead in worship as well as participate in large seasonal productions with all combined choirs and musicians. They also participate in statewide events such as PraiseFest and PraiseWorks. Directed by Lori Mills, our children’s choir (1st – 6th grades) has continued to enjoy tremendous in the past several years. First Kids Worship meets through the fall to put on a Christmas production and in the spring to present a musical before the end of school. Some children also participate in the statewide event, JoyWorks. Each summer, First Kids Worship combines with the Children’s Ministry (usually two weeks before school starts) for our 5-day Week of Play – Week of Praise. In one week, under the direction of Ken Holland and a team of other teachers, they learn a complete and extremely involved musical production and present it on the following Sunday night. Get Involved in First Worship Arts!